This device has been designed to provide patients the desired effects in a shorter treatment and convalescence time. Fraxel® Restore is a safe laser that causes minimal side effects. It combines the best of older generation devices with modern technologies – it means that it is safe and it can be used in every area, for example face skin. What is more important, the treatment results are immediate and progressive. It means that after surgery the treatment process is not weakened but strengthened. The optimal effect is usually visible after three months. The safety of the treatment was confirmed by the approval of the American Food and Drug Administration. The treatment does not require to take any specialized tests and special preparation. Patients are asked to remove hair from the places where the treatment will be performed three days before surgery. They should also discontinue to take all medicines that contain acetylsalicylic acid minimum two weeks before the treatment. Fraxel® Restore is a non-ablative laser, so it does not damage the stratum corneum. That is why, it minimizes the risk of infection after the treatment. 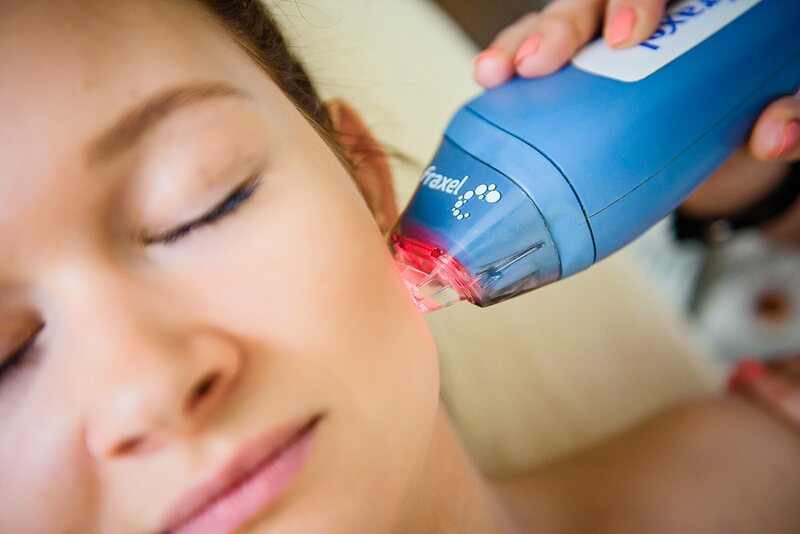 Fraxel® Restore affects the skin deeply and precisely in this way, the healing process and treatment is much faster (it lasts several minutes). It does not cause wounds. The patient feels the laser beam as a sting and the pain can be eliminated by topical anesthesia or oral painkillers.